You’re ready for Easter—but are you ready for the Sunday after? Enter your information below to get instant access to this ebook. Your church leaders and volunteers have invested a lot of time and energy into planning Easter services. Typically, you can expect more visitors on that day than on any other Sunday of the year, and your church might even see some growth afterward. Your church could have the largest attendance of the year—with many people coming to faith—but if you can’t turn those visitors into active church members, it’ll all be for naught. That’s why having an airtight Easter follow-up plan is critical for getting newcomers involved in the life of your church and more connected in your community. It’s never too early to start planning for one of the biggest Sundays of your church’s calendar. 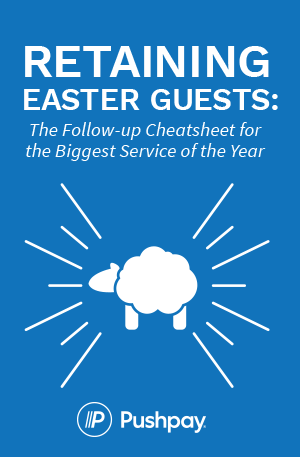 Download your free ebook and start planning for the upcoming Easter season today.